You have come to the right place in case you have been looking for the best professional removal Park Royal services available today. 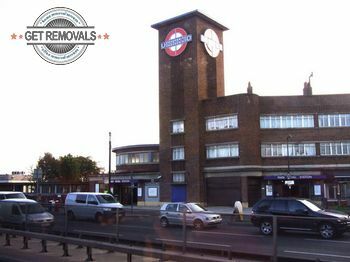 A comprehensive list of removal services available anywhere in Park Royal and the surrounding areas. A team of licensed moving technicians who can get your property moved to and from any point of the country. A flexible schedule, including weekend and night relocations, so that your comfort and peace of mind is guaranteed, and all your needs are covered. A competitive custom pricing system that takes into account the specs of the job in question. We have very attractive midweek discounts too – do not forget to check them out. Our team of movers is very big. We have specialists for everything. No matter whether it is your home, office or just a single item of furniture that needs to be at a new place, we are ready to help you. Our technicians work in accordance to a very high quality standards and work ethics that ensure only the best results are achieved in every task. You can check out the testimonials our clients have left concerning our services and methods and see for yourself that we are indeed the best company in our field currently operating in Park Royal. One thing we are particularly proud of is our 24/7 customer support, which is made possible thanks to call center co-ordination. If you have any questions concerning our removal services, or you want to check out when our experts are available, do not hesitate to get in touch with us by dialing the numbers you see listed on this page. By doing so you are going to get all the information you need and in addition, you can request a free no obligation quote for your move, which will be delivered to you immediately. Park Royal, in the NW10 postcode district of the London Borough of Brent (and a part of Ealing) is primarily known for being home to the largest business park in present day London – the 500 hectares Park Royal Business Park, which gives employment to 35 000 people from numerous businesses. Thus Park Royal becomes also a preferred place of residence for people looking for good job opportunities near the place they work and also one of the busiest places in the West London at the present moment. In relation to the importance of the business center to the economy of the area, several really grand renovation and redevelopment projects have been planned, which will improve the infrastructure and transportation in Park Royal. Some of them have already been finished and the results are more than evident – in the past several years, Park Royal has become of the most distinctly modern areas in West London.